I wrote about my experience with TribeCar and Smove back in 2017. 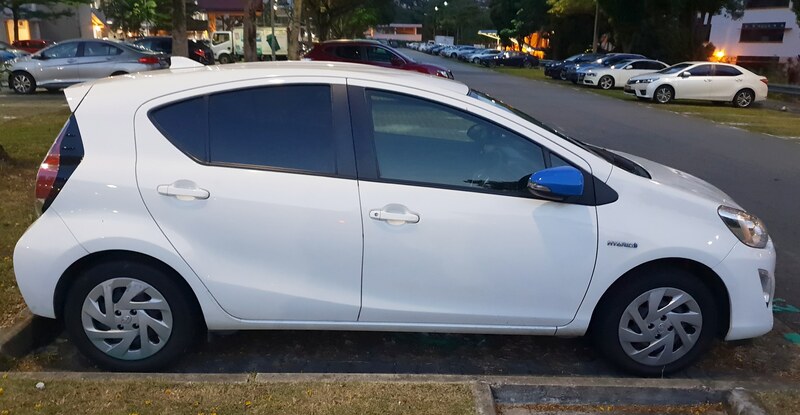 I’ve continued to use both hourly car rental services up until today, so I thought it would be good to share my long-term experience renting cars from both companies. In the past, renting a car meant having to go down to the car rental company’s office during office hours to pick up the car and return it on a later date, typically during office hours as well. Renting a car over the weekend would mean having to pick the car up on a Friday evening and returning it on a Monday morning, something that may not be practical for the average person working normal office hours. Then, a few years back, aided by technology, a few new entrants entered the scene, allowing you the flexibility to pick-up and drop-off the car at any time of the day for any number of hours, with many of these pick-up and drop-off locations at very accessible locations. Today, the car rental scene comprises a mix of both players–the traditional car rental companies and the ‘new-age’ hourly car sharing companies. Smove and TribeCar are two early entrants falling into the latter category. I’ve used both services for about two years now and thought it would be good to share my experience below. It’s easy to spot a Smove vehicle on the street–just look out for a white vehicle with blue mirrors. Smove has come a long way since 2017–it has expanded its fleet to include seven-seaters and luxury vehicles such as the BMW 3- and 5-series. Smove currently has over 80 rental points islandwide, with several located in close proximity to HDB blocks, offices and shopping malls. One notable omission, however, is the Downtown Core. There used to be a rental point at the Octagon at Cecil Street, but this has since been removed. Smove’s unique selling point is that it allows you to pick up a vehicle at one location and drop it off somewhere else, subject to availability. So if you’re planning to run a couple of errands beginning from point A and ending at point B, it may be possible for you to do so. Until recently, Smove’s pricing was rather inflexible, as pricing was based on fixed timing blocks with no pro-ration in between. You would pay the same price whether you rent for 12 hours or 23 hours. Pricing was also rather on the high side, with $50 charged for just three hours of rental. Somewhere in 2018, Smove introduced more flexible pricing, which now also includes a “Super Short Rental” scheme where you could lease a car for $2 per 15-minute block for up to a maximum of two hours. Coupled with the ability to pick up and drop off the car at different locations, you can even use it as an alternative to taxis, Grab or Go-Jek, and is cheaper than its nearest competitor, BlueSG. You can sign up with Smove as long as you have held a Class 3/3A driving licence for 2 years or more, or a valid foreign licence and International Driving Permit if you are a foreigner residing in Singapore for one year or less. You can sign up using THIS LINK to get $20 worth of booking credits upon sign-up (note: it’s a reciprocal arrangement so I get $20 worth of credits for myself, too). Upon signing up, you’ll need to upload a copy of your NRIC and driving licence (as well as PDVL if you intend to use it for Grab). There is no minimum deposit required or any need to visit their offices to complete registration. To book a car, you first have to link up your EZ-Link or CEPAS card as well as your credit card via the Smove website. Once they are linked, you can make a booking by selecting your pick-up and drop-off timing and location. At the vehicle, the EZ-Link/CEPAS card functions as your car key. Simply tap the card reader mounted on the windscreen to lock/ unlock the car. My driving experience with Smove has been rather pleasant so far. I have only leased from the Saver category so far, but even then, the cars are pretty well maintained and road-worthy. 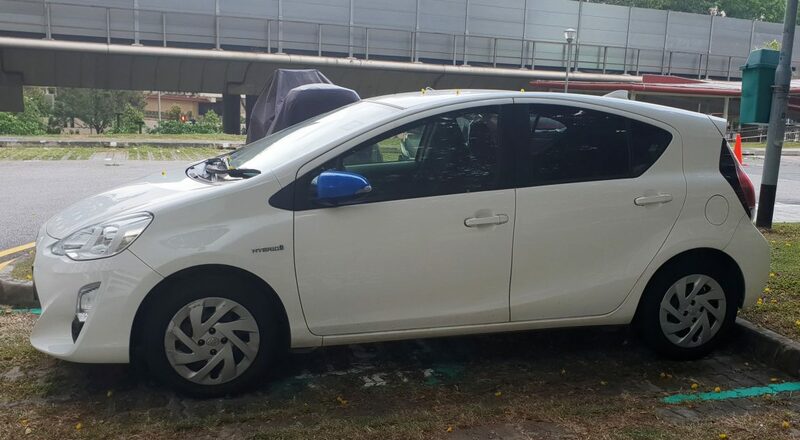 One thing to note if you’re intending to lease a car to haul bulky furniture or to carry home a large television–if you lease a Saver car, you’re more than likely to end up with a Toyota Aqua (pictured above), which doesn’t have much boot space. A generous amount of mileage is also included in most rental packages (unless you drive for Grab, where mileage is charged separately per kilometre travelled), which is a nice touch during periods where oil prices are trending upwards. If you exceed the mileage cap, there is an additional charge of about $0.30/km. If and when you are required to top up the petrol, you won’t need to fork out a single cent as you can make use of the Esso Speedpass installed in each vehicle. Insurance excess is $2,000 (for Saver, XL Plus and Value) or $3,000 (for Premium) each for own damage and 3rd party, excluding GST. This is rather reasonable and on par with most rental car companies. There is no collision damage waiver option to reduce the excess amount. Despite the revised pricing and pleasant booking and driving experience, I haven’t been able to use Smove as much as I want to due to availability issues. Although Smove has over eighty rental locations across Singapore, there are still a number of ‘bald spots’, i.e. areas with no coverage. For example, where I live, the nearest rental point is at least a twenty minute walk away. Car availability is also an issue if you require one on short notice. Most of the time, you won’t be able to get a car immediately, or only at the more remote locations. Even if you manage to find a car at your preferred location, chances are, you won’t be to find a parking space at another location well in advance. Unfortunately, this is something we probably have to live with. 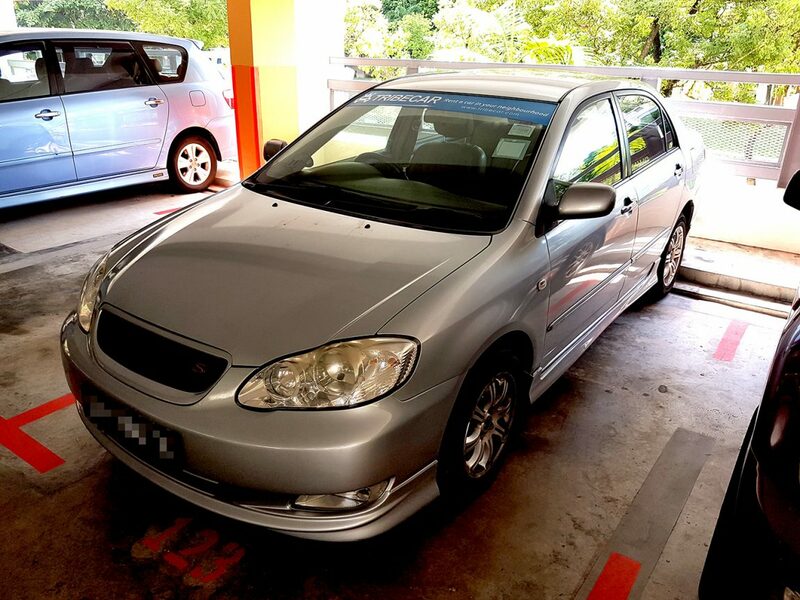 Parking spots are at a premium in Singapore, and given the high prices of cars in Singapore, it makes more financial sense for Smove to have all its cars booked at any one point in time rather than building in some spare capacity in the system. My personal favourite is TribeCar, mainly because they have a number of rental locations situated near my house. Compared to Smove, TribeCar is also really cheap, from just $2/hour during off-peak periods (12am to 6am on weekdays). Daily rental costs just $70/day from Monday to Thursdays and about $96/day from Friday to Sunday. In my previous article, I expressed dissatisfaction as to the physical condition of the car that I leased. Unfortunately, there hasn’t been much improvement in this area if you book their cheapest offering, the Economy Sedan, which seems to comprise a fleet of eight- to nine-year old vehicles with high mileage on the clock (over 300,000km most of the time). Once, the In-Vehicle Unit (IU) in the car I rented was not working (though, to TribeCar’s credit, they offered me a full refund on the booking and promptly fixed the issue). Another time, there was a little cockroach that crawled out from the rear passenger window (thankfully, an isolated incident). If you wish to avoid these issues, considering booking from their range of Standard or Premium vehicles instead, which comprise newer and more properly maintained vehicles. Once, I booked a Standard Sedan and ended up with a Mazda 3 which was just a couple of months old. The price premium isn’t that much over an Economy Sedan, but it’s a big step up. Apart from cars, TribeCar also offers a fleet of vans (both manual and auto transmission options available) and motorcycles available for rent. You can sign up with TribeCar as long as you have held a Class 3/3A driving licence for 2 years or more. You can sign up using THIS LINK to get $15 worth of booking credits when you make your first top-up of $50 (note: it’s a reciprocal arrangement so I get $15 worth of credits for myself, too). Upon signing up, you’ll need to upload a copy of your NRIC and driving licence (as well as PDVL if you intend to use it for Grab). You will also need to pay a $100 refundable security deposit. Booking a TribeCar is as easy as it can get. Simply head on to the TribeCar website and choose your location and timing. Unlike Smove, you have to pick up and return the car at the same place (usually at multi-storey carparks). Once at the pick-up point, simply log-in to the website and click the “Start Trip” button. Once you’ve taken and uploaded photos of all four sides of your vehicle (important for your own protection), the car will unlock itself. This process only applies to the initial unlock, though. There are still actual car keys, situated in the glove compartment, which you have to use to start the car and lock the car doors at any point during your trip. At the end of the trip, you keep the keys back in the glove compartment and lock the car via the “End Trip” button on the website. No mileage is provided on your TribeCar trips. Consequently, hirers tend to top up only for the petrol that they require, and more often than not, the fuel tank will be close to “E” when you collect your vehicle. You are also responsible for ensuring that the car has sufficient engine oil and radiator water; otherwise, you may be responsible for any damages that arise therefrom. Apart from the incident where the IU wasn’t working (as mentioned above), my driving experience with TribeCar has been pretty smooth. Despite the age and mileage, the Economy cars are still generally quite road-worthy, though you probably need to moderate your expectations somewhat. At the end of each booking, you are also requested to provide your feedback. From experience, they have been pretty prompt in responding to enquiries and will act on any feedback received. During one of my recent bookings, my car accidentally grazed against the wall of a carpark, resulting in a dent at the rear bumper. I promptly reported the incident and was asked to report at their authorised car workshop the next day to assess damages and was asked to pay a reasonable amount covering damages and loss of rental. I thought this was a point worth mentioning, as there may be some unscrupulous car rental companies out there who may take advantage of such an opportunity to make a quick buck. On a related note, it is worth mentioning that insurance excess for TribeCar vehicles are generally on the high side, from $3,210 (after GST) each for own damage and third party excess. For Economy vehicles, this can be halved (to $1,605 after GST) if you purchase a Collision Damage Waiver (CDW), but unfortunately, this option is not available for the Standard range of vehicles. Without a CDW, this means you can be potentially liable for damages of up to around $6.4k, and this does not include compensation for loss of rental. TribeCar has recently introduced a ‘dormancy fee’, where if you do not make a booking for six consecutive months, a $5 levy will be imposed on a monthly basis. If you intend to stop using TribeCar at any point in the future, be sure to close your account. If you have any questions relating to my experiences with Smove and TribeCar, feel free to leave a comment below and I’ll try to answer as best as I can.